Love burgers? 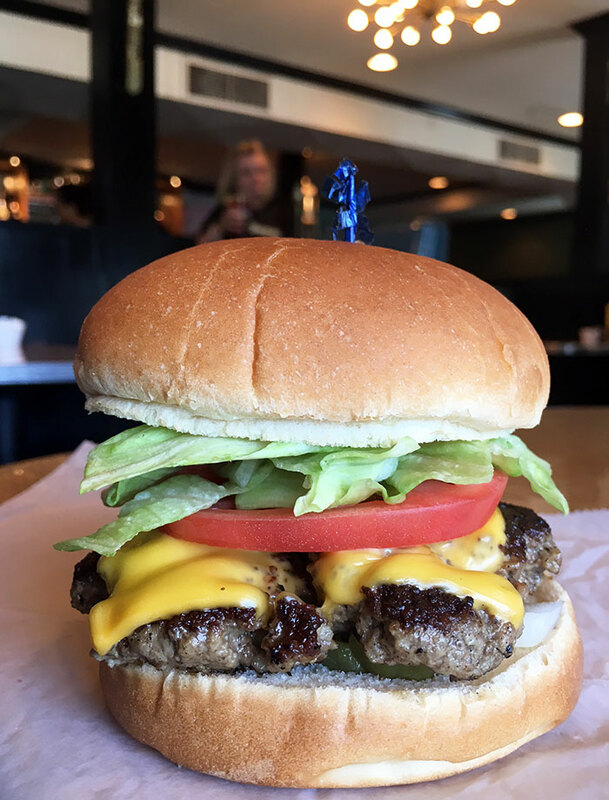 Here’s a list of Charlotte’s 20 best burgers spots, ranked. 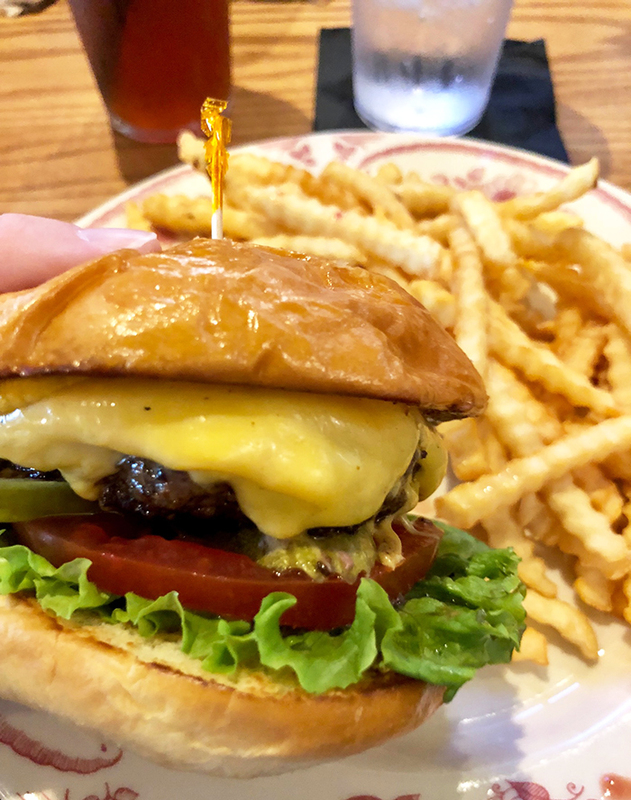 Charlotte’s burger scene is sneaky solid. 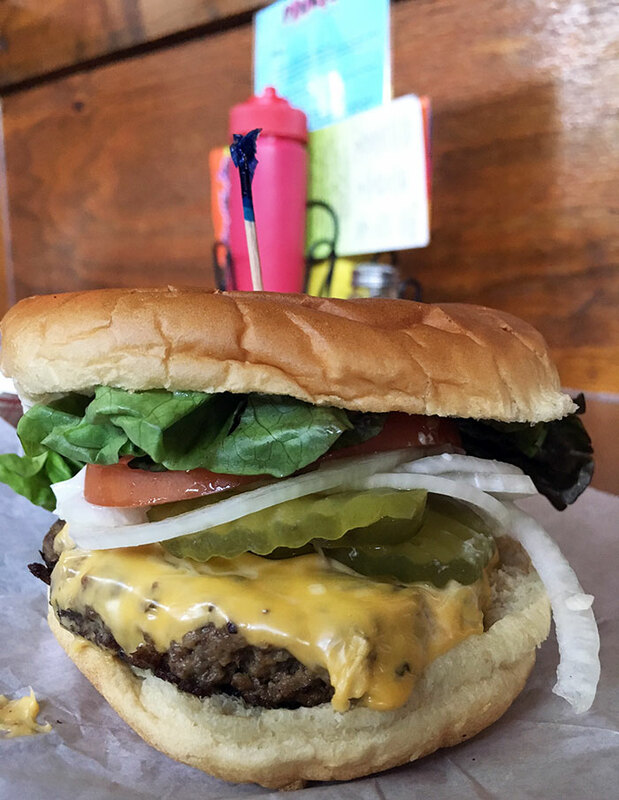 We’ve developed a great mix of old school burgers and gourmet burgers. Vibe: Cozy retro diner in Plaza Midwood, founded in 1945. 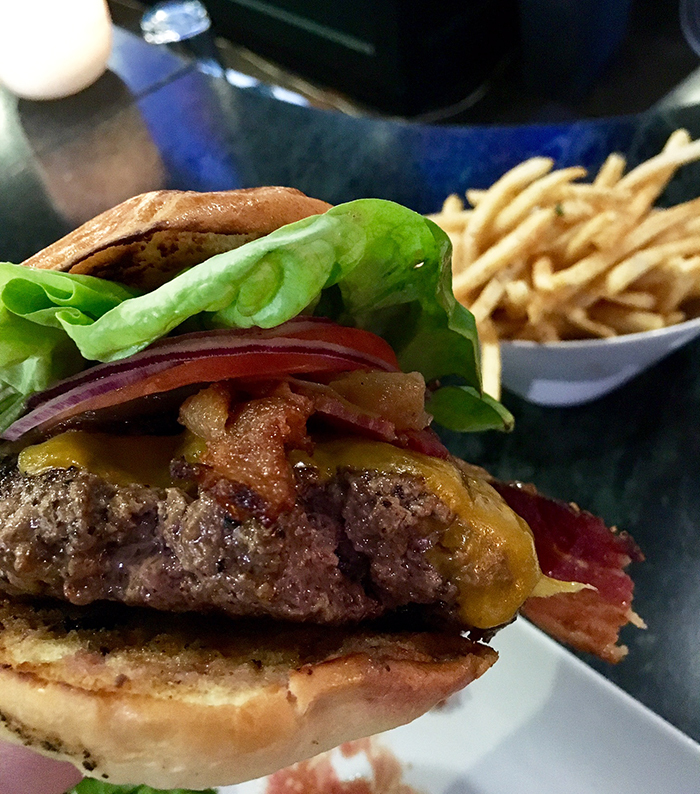 What to order: Small Block Burger – 1/3 lb. ground beef with lettuce, tomato, onion and mayonnaise. Nothing fancy, just solid. If you’re not in the burger mood at Diamond, order the foot long Diamond Dog ($4.50) that comes with chili, mustard & onions. 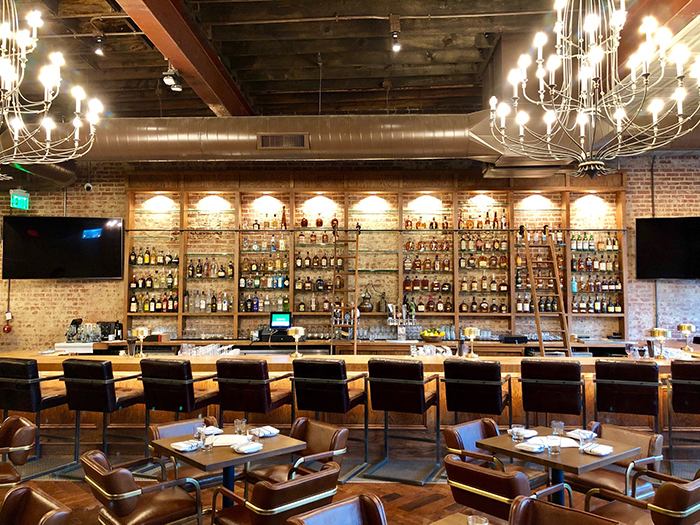 Vibe: Cool bar and burger spot in the heart of Uptown. I’ve heard it’s one of Luke Kuechly’s favorite late night hangouts. 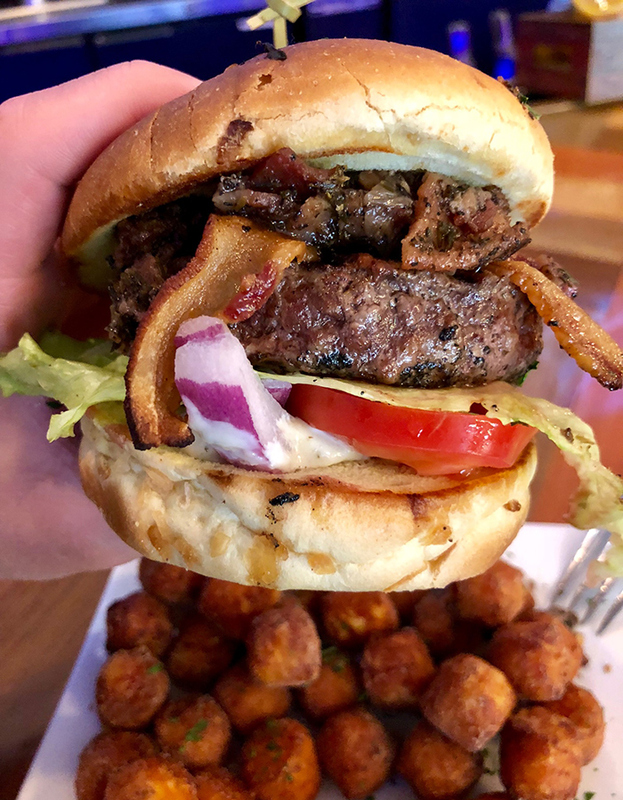 What to order: Boogan’s Bacon ($12) – beef patty, pretzel bun, bacon marmalade, bacon strips, iceberg leaf lettuce, roma tomatoes, sliced red onions and roasted garlic aioli. Served with your choice of side (go with the sweet potato tots). Vibe: Upscale sushi and burger restaurant with modern interior, fish tank and back patio in SouthPark. 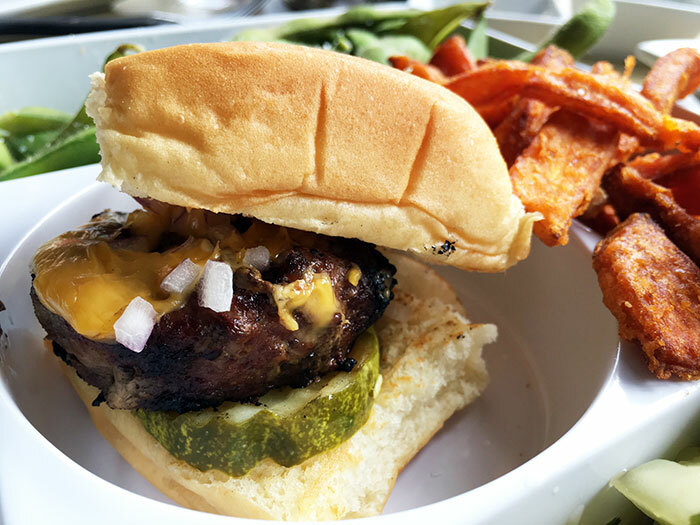 I know I’m going to take heat for including a mini burger, but don’t judge from its size – it’s freaking delicious. Vibe: Super chill and cozy European gastropub in the heart of NoDa. 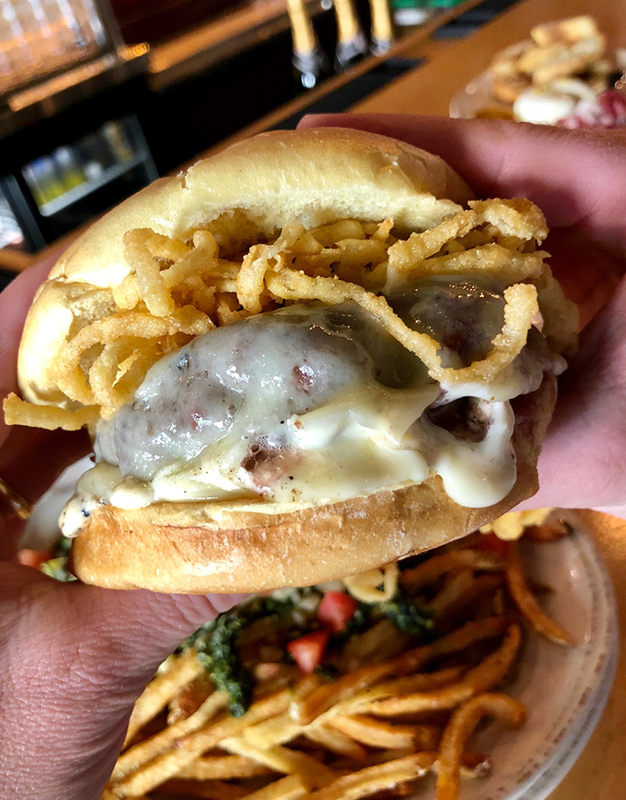 What to order: Crepe Cellar Burger ($15) – Gruyere, onion straws, garlic aioli on a potato bun. If you’re doing a group appetizer, go with Crepe Cellar’s Pesto Brie Fries or their Burrata. Background: Drive-in Southern comfort food restaurant a few miles from Uptown on Independence. Serving gems like the Super Boy since 1955. 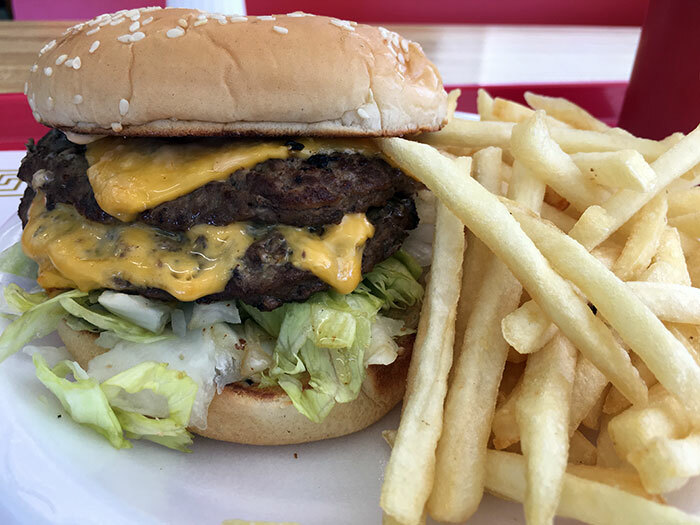 What to order: Jumbo Cheeseburger ($5.95) – their Super Boy Hamburger (two beef patties, mustard, onions, lettuce and tomatoes) with two slices of cheese and French fries. If you’re feeling adventurous, order the Fish-O-Burger ($6.75) — two pieces of filet-of-Trout, tarter sauce, cup of slaw and french fries. The thin patties and melted cheese fit perfectly over the condiments. Sesame seed bun was both soft and fresh. 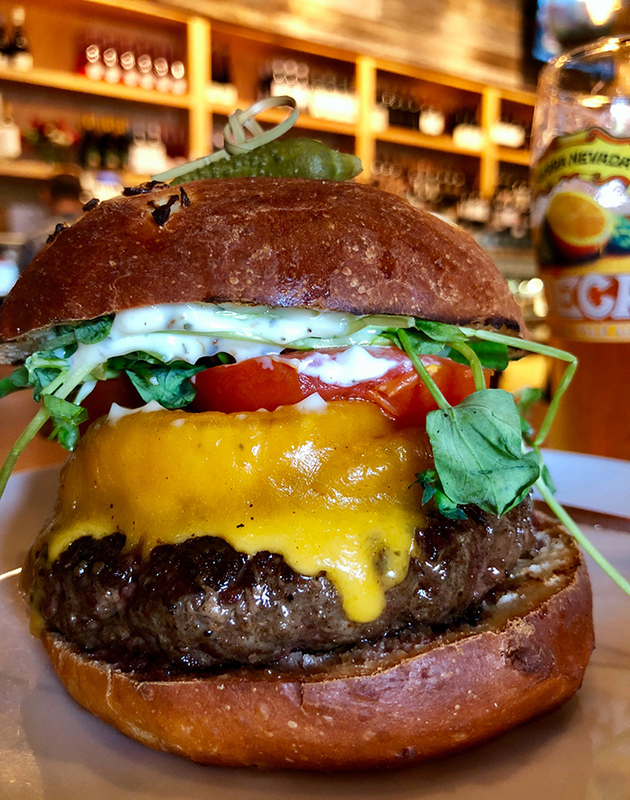 Description: The “Krenz Burger” has two locally sourced beef patties, pickle + herb rouille, caramelized onions, roasted mushrooms and griddled cheddar. 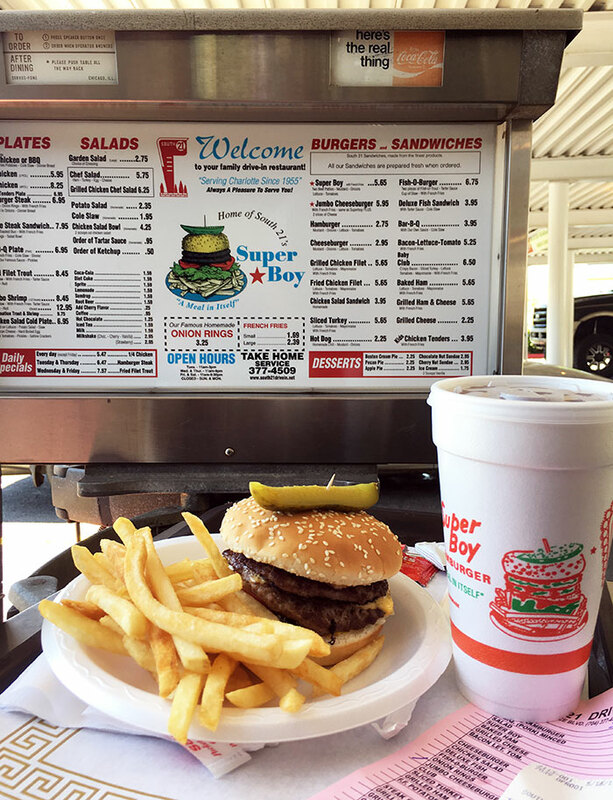 What to order: Basic Burger ($8.75) – 6-ounce freshly ground custom beef blend. 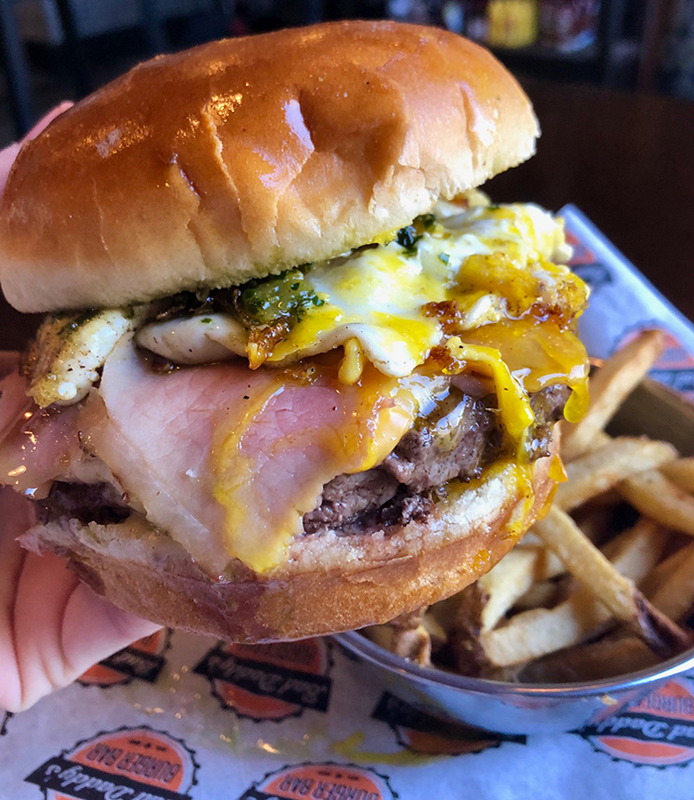 Backup burger: When you’re craving breakfast, but it’s actually lunch time, go with the “Sam I Am Burger” — American cheese, over easy fried egg, rosemary ham and fresh made pesto. Background: Sure, you know Midwood for its barbecue, but have you had the burger? 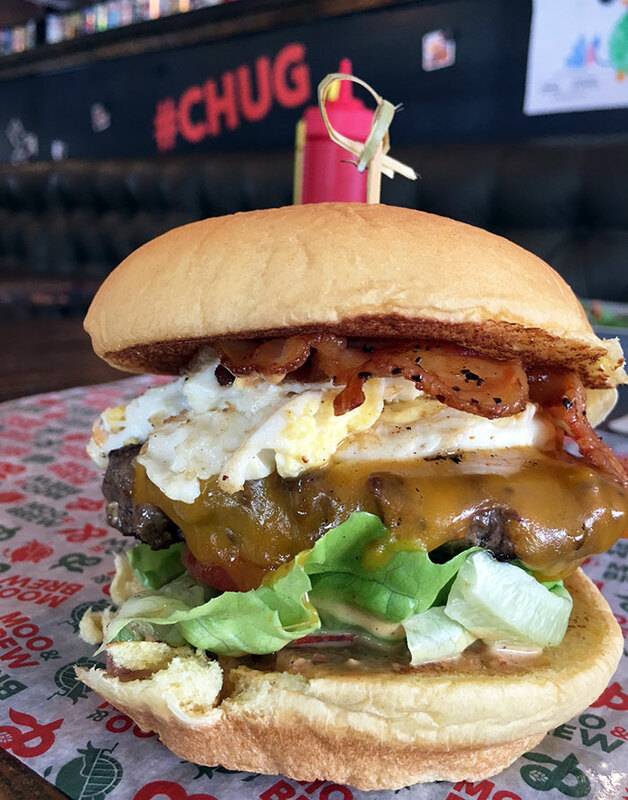 If not, try “The Roadhouse” – chuck and brisket burger patty with ketchup, mustard, pickles American cheese, lettuce and tomato ($9). Add brisket or chopped pork for another $2. 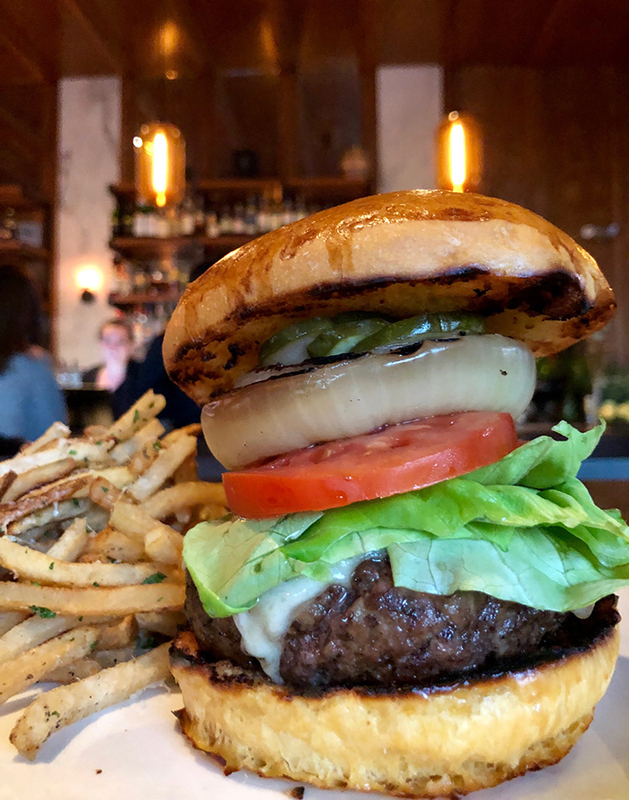 Description: House blend meat with grilled sweet onion, tomato, bibb lettuce, white cheddar on a brioche bun served with truffle frites ($16). Add a fried egg for another $2 or add Benton’s bacon for $3. 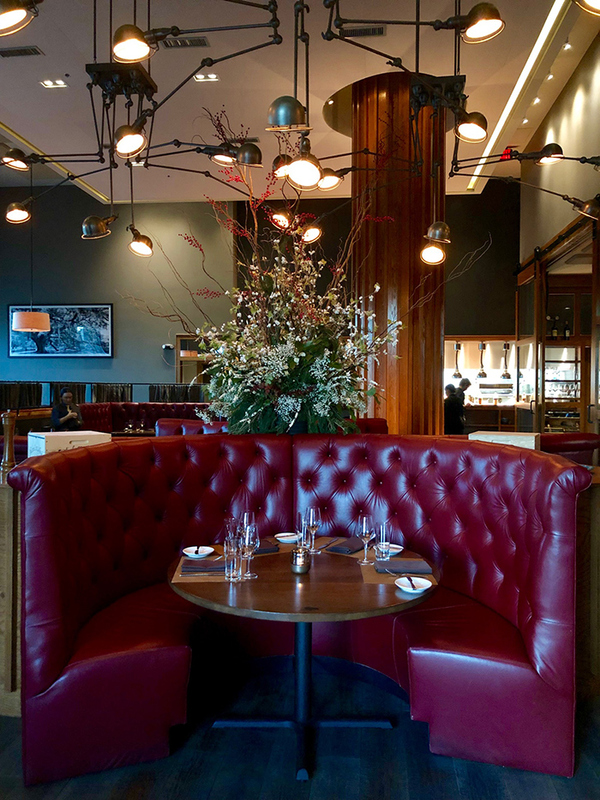 Fun fact: This SouthPark steakhouse is owned by the same group that owns O-Ku, Sukoshi and they’re opening an Italian restaurant in South End later this year. 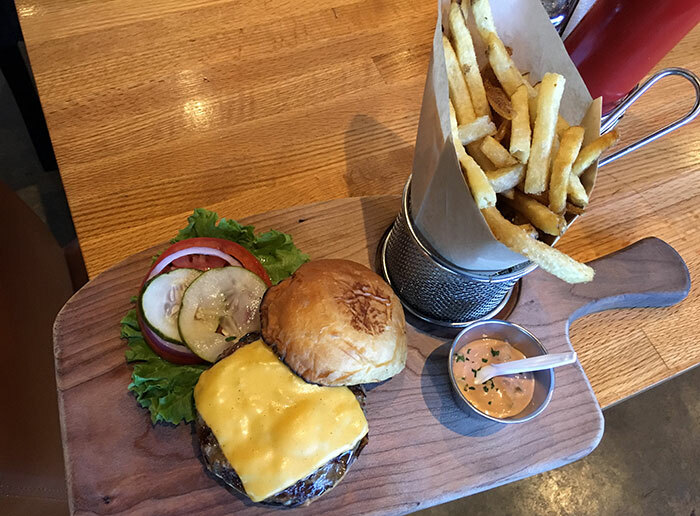 Pro tip: The Oak burger and truffle fries are available for $8 from 4:30 p.m. to 7 p.m. everyday. 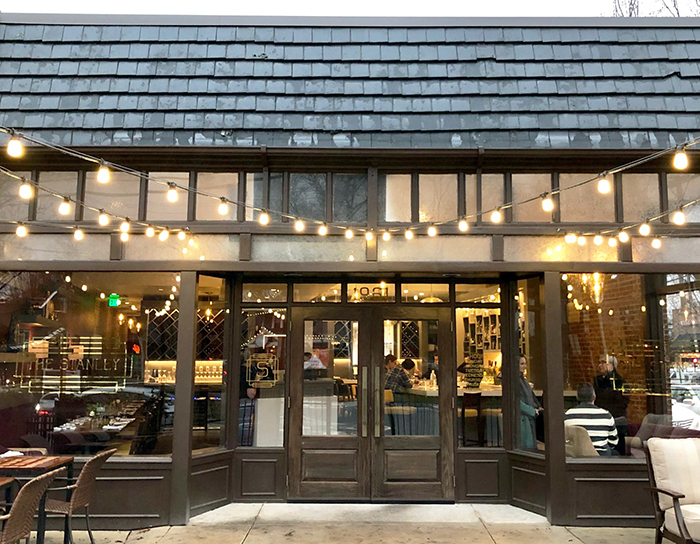 Background: Foxcroft Wine Co, our city’s top wine bar, serves a signature burger – ground hanger steak, grilled onion, pea shoots, tomato, truffle aioli and your choice of cheddar or blue cheese. 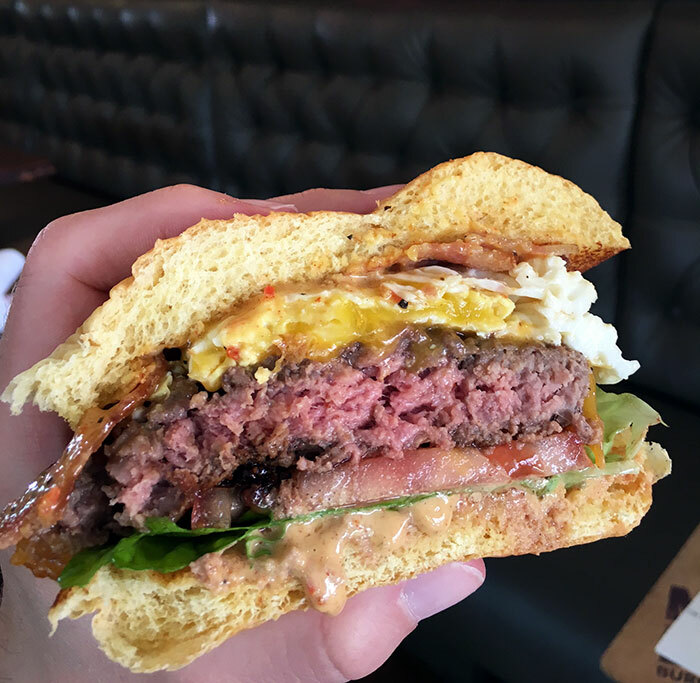 What to order: Pterodactyl Burger ($5) – Greg’s award-winning 5-ounce beef burger, everything style. Go big burger: Triple “G” three, 5-ounce patties, Westside style (this was Guy Fieri’s order when he visited). 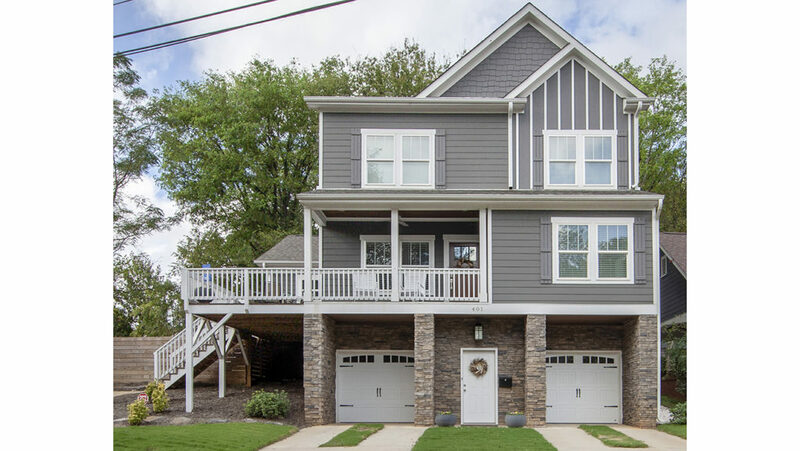 Vibe: Neighborhood burger and beer spot with a great patio in Plaza Midwood (known to many for their famous Large Marge Bloody Mary). What to order: Farmer’s Daughter ($11) – farm egg, peppered applewood bacon, cheddar, tomato, Bibb lettuce, M&B sauce. 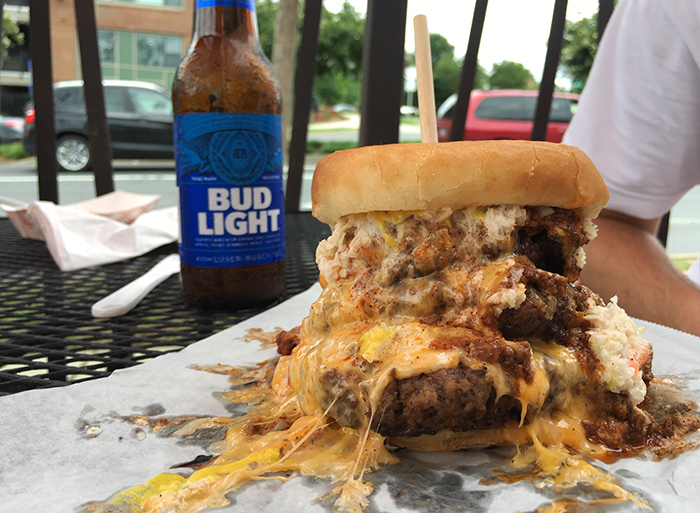 Backup burger: Moo & Brew Burger – brew-braised onions, brew chili, brew cheese & yellow mustard. Love that you can really taste the meat flavor. Background: This upscale Southern comfort food spot serves an incredible brisket burger. Vibe: Upscale urban grocery store in Myers Park and SouthPark. 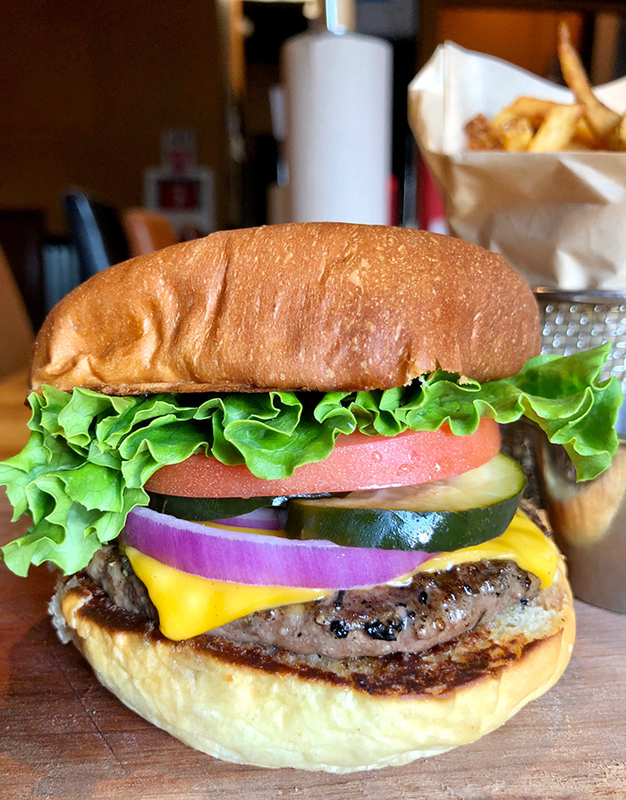 Description: Reid’s Steakburger ($15) – House ground filet, sirloin & rib-eye, Tega Hills lettuce, tomato and red onion served on an Artisan bun with your choice of side (go with the truffle fries). 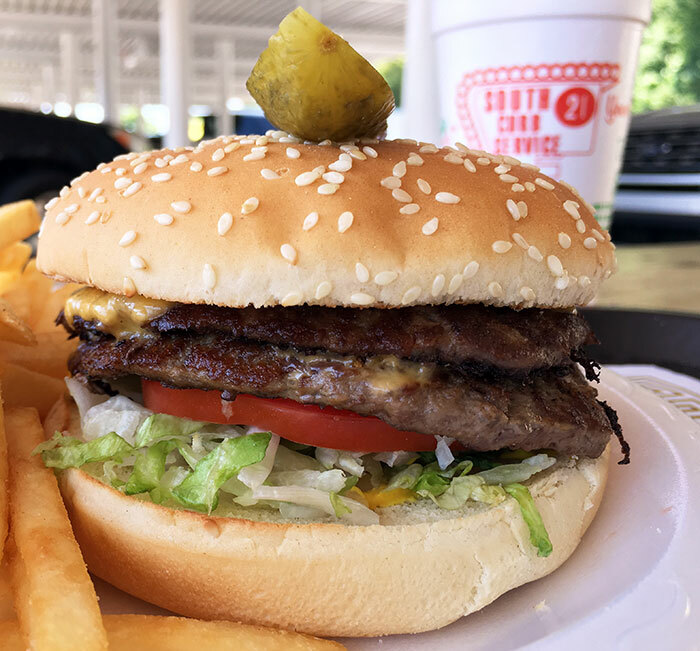 When to order it: Each Tuesday, both Reid’s Fine Foods locations (in Myers Park and SouthPark) offer a 1/2 priced Steakburger special. It’s a popular special, they do about 300 burgers every Tuesday. 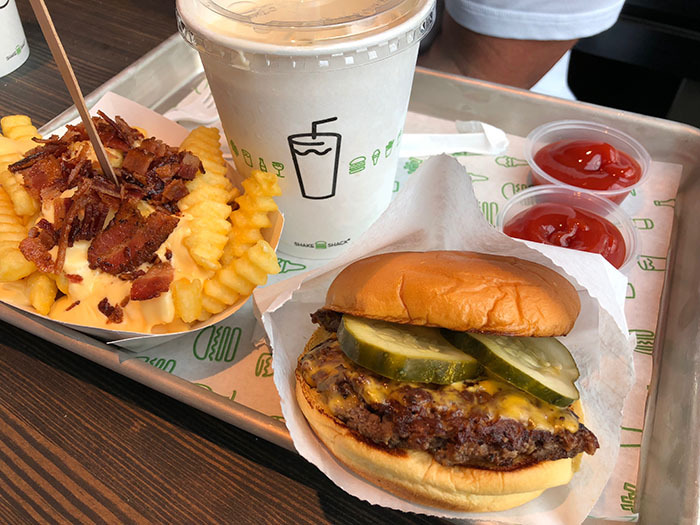 Vibe: Counter-service fast food chain with a gourmet take on classic burgers, chicken, hot dogs, shakes and custard in Park Road Shopping Center. What to order: ShackBurger – Single or Double Cheeseburger topped with lettuce, tomato, ShackSauce™. Vibe: Classy cocktail bar in Elizabeth. Wash down the burger with an Old Fashioned. 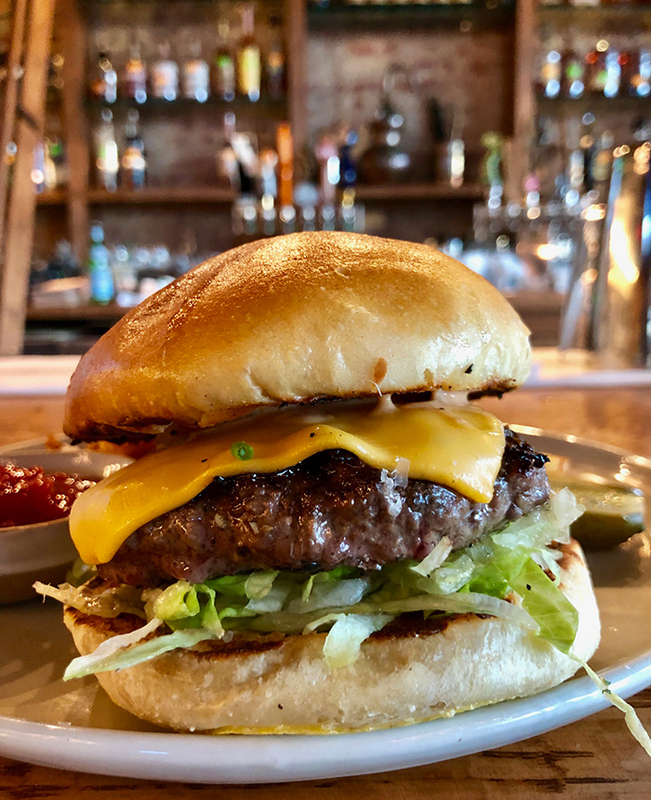 Description: The Crunkleton Burger is topped with cheese, lettuce, pickles and house made Crunkleton sauce served with fries ($12). 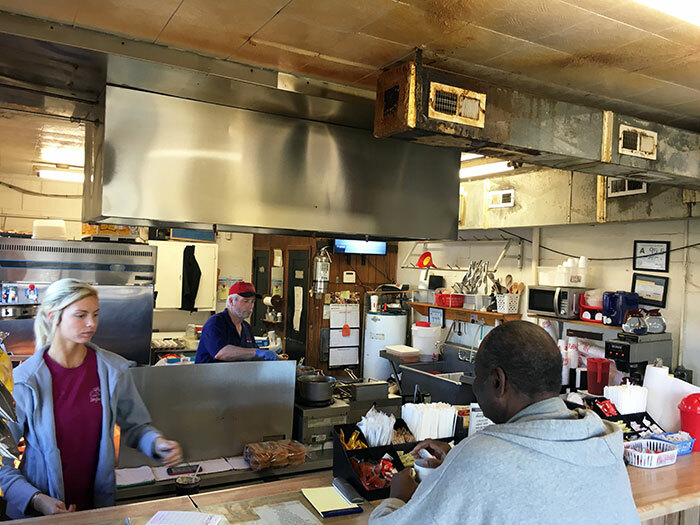 Vibe: Old-school, family-owned burger and Southern comfort food restaurant in LoSo. They call your order over a speaker, which is just fantastic. 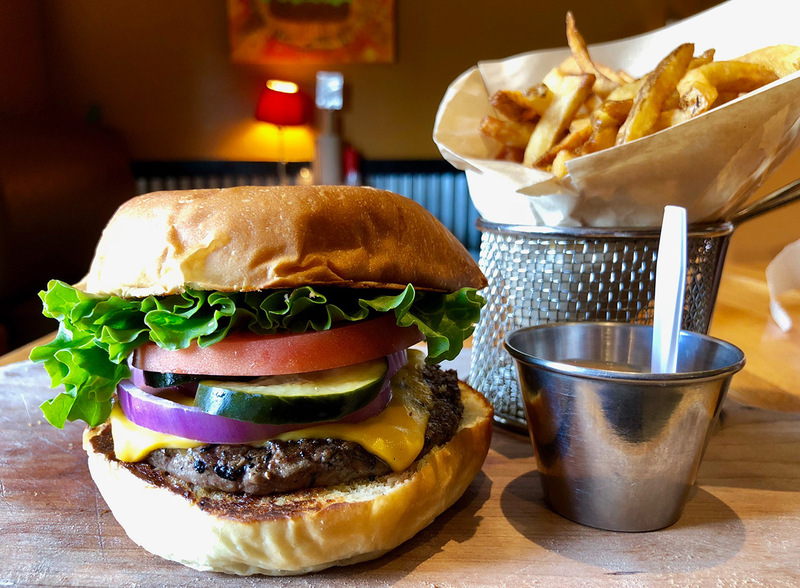 What to order: Zack’s Special ($5.95) — two 100% ground beef patties with double American cheese, lettuce, tomato, pickles, onions, mayonnaise and special sauce on a toasted bun, served with French fries. 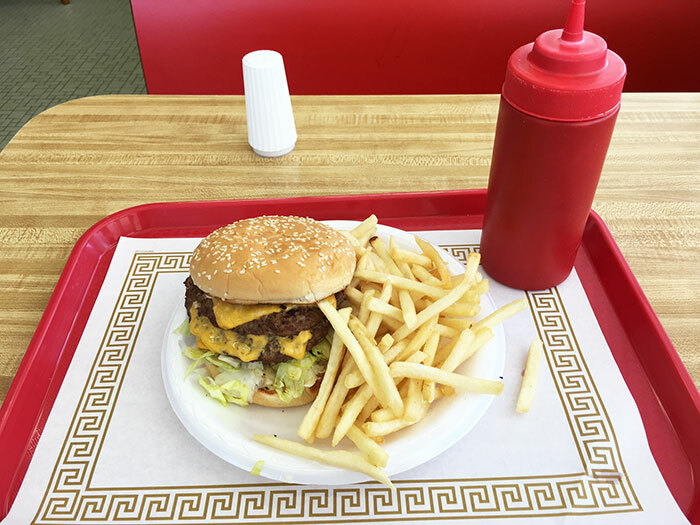 Zack’s Hamburgers is family owned and feels like it’s stuck in time – 1975 to be exact (when it opened). Vibe: Tiny hidden spot near NoDa’s Heist Brewing with a walk-up window and outdoor table for eating. 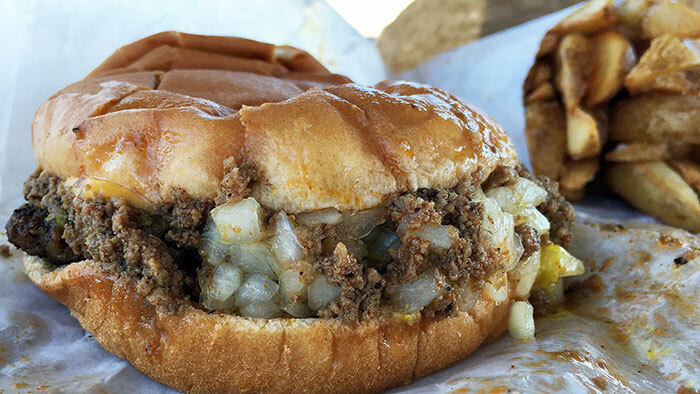 What to order: Burger “All The Way” with mustard, onions and homemade chili ($4.25) . 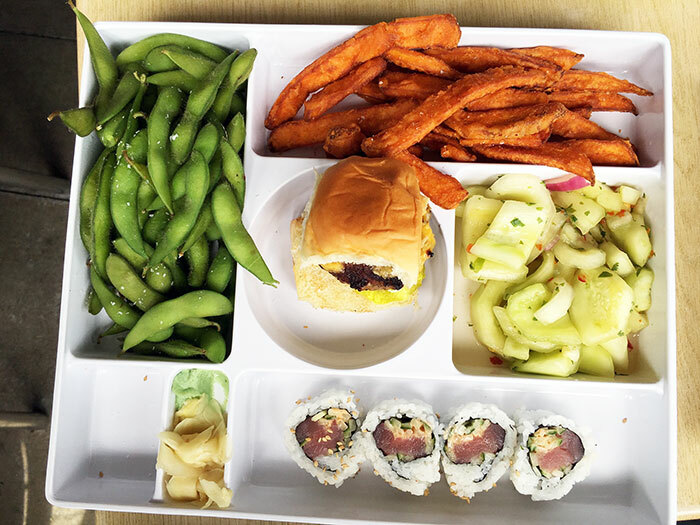 Vibe: Run-of-the-mill, upscale fast-casual interior located in an Elizabeth strip mall, with a new cooler location in South End. 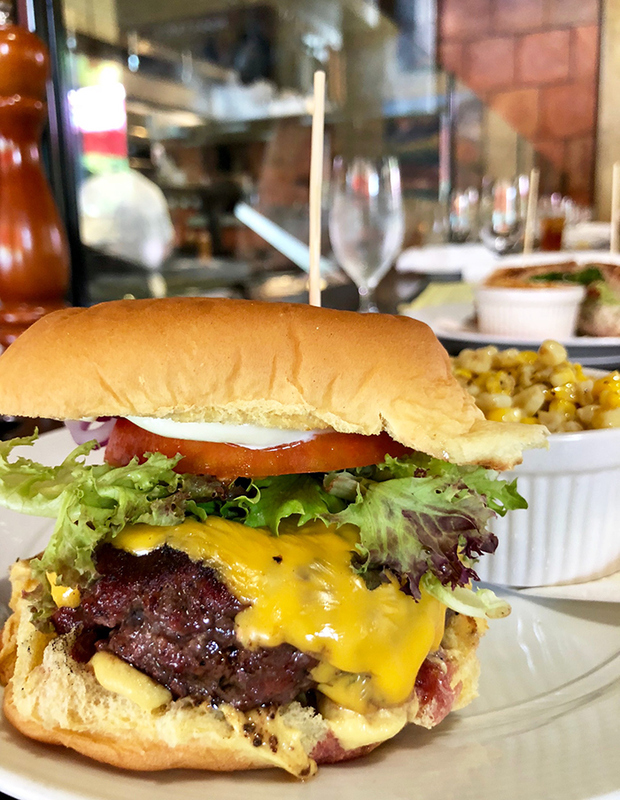 What to order: Bang Bang Burger – American cheese, lettuce, tomato, onion, homemade pickle and Bangburger sauce with fries. A double will cost you an additional $3 ($9.50). Backup order: Cowboy Burger – sharp cheddar, bacon and homemade BBQ sauce with fries. 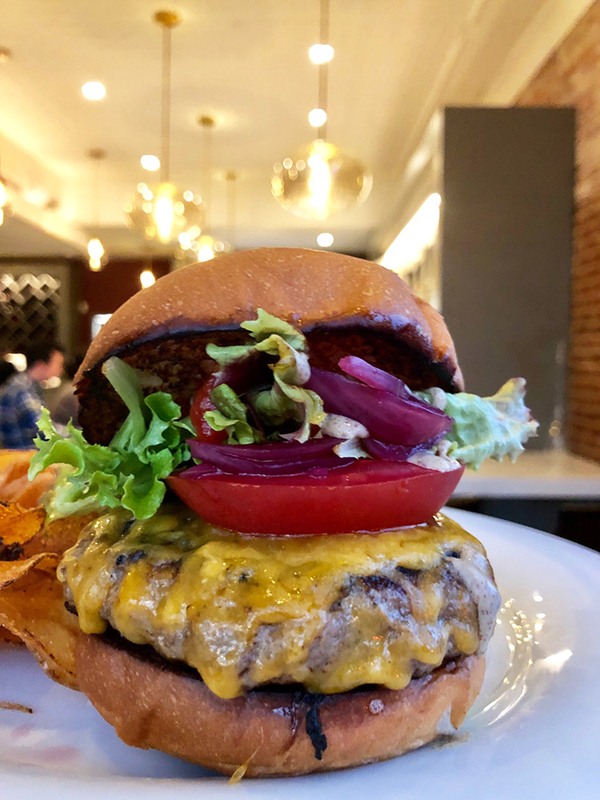 Background: Arguably the city’s best new restaurant from James Beard semifinalist chef Paul Verica, The Stanley just released their version of a cheeseburger. It’s unreal. Availability: The burger is only available after 9 p.m. at the bar. And only available on Friday and Saturday nights. 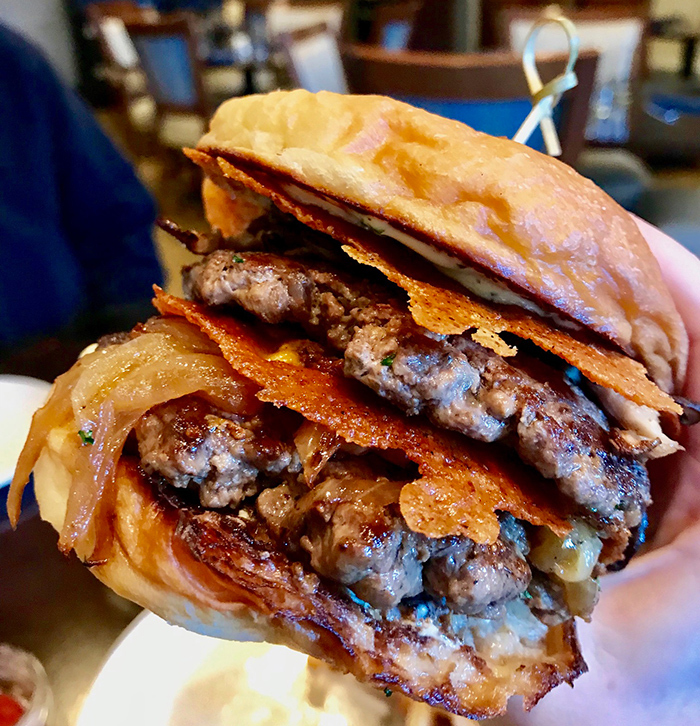 Description: House ground NY strip and tenderloin mixed with some foie gras and white truffle, topped with aged cheddar, pickled onions, hot house tomatoes and served with truffle potato chips and house ketchup and mustard ($18).